We believe that collaborating with respectful, driven organizations is key to our success. With the GrowthSTORM™ Dual Droplet System™, we are proud to help set others on the path to advance their cultivation efforts in an evolving landscape. Wellness Farms Inc. was established in October 2017 to become a premier craft medical cannabis producer in Canada. We are committed to providing a profound impact in the way medical cannabis is grown, processed, and administered. Our state-of-the-art cannabis growth facility aims to contribute to the growing body of evidence-based research regarding the use and efficacy of our products. 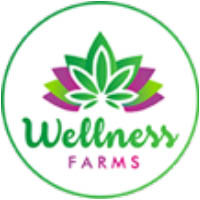 To learn more about Wellness Farms, you can contact them directly at info@wellnessfarmsinc.com. If advancing the cultivation industry is something that you're passionate about, learn more about working with JWC.